In this section on minutae we will explore the small details that can keep a collector, or a writer, busy for years documenting them. Remember it was war-time and an especially hectic period for the English living under the constant pounding of German rockets and bombers. Fighter planes were having dog fights overhead and many of the cities and factories were in dire straits. 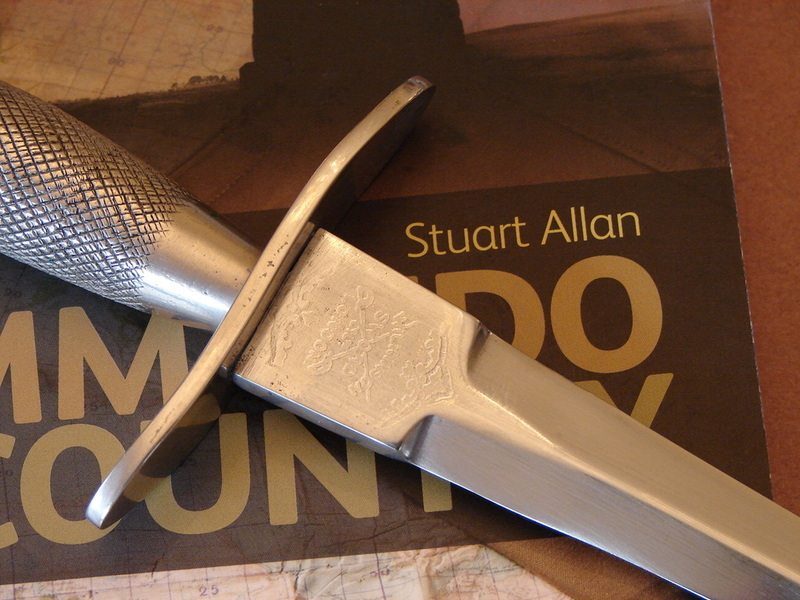 A different top nut or a tiny flaw in an etching, a thicker guard or smaller pommel, may throw a collector into a spasm but it did not stop the knives from going out the doors or the commandos and other men of the armed forces from boldly facing their destiny, knife in hand. Thank God that the British were strong enough militarily and the civilian population so staunch, as to be able to withstand the rigors of war. Until the US got into the war very little else stood between Hitler's fanatic reign of terror and the loss of freedom worldwide. Today small differences from one model to another may affect the collector value of a particular knife almost as much as its condition. But that is a false type of value added. 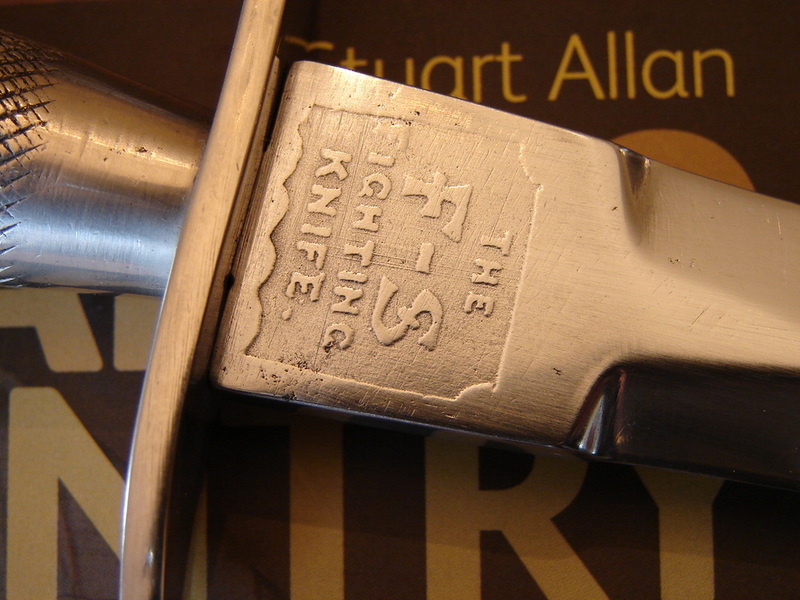 Let us not overlook the true value of a fighting knife. It was often a soldiers weapon of last resort, his companion when all of his other weapons had either failed him or run out of ammunition. You will see many of the knives in our collection are not pristine. I prefer a knife that has "been there." Therefore, I guess what I am trying to say is do not place too high a value on the tiny differences you find among these knives, chalk it up to the times and conditions. Keep in perspective the possibility that what you hold in your hands might have been different when it left the factory. Beware of modern alterations or additions, ie stampings that were added or blades that were replaced blades etc. This is one reason why we bothered to show something as inconsequential as top nuts. I have recently seen top nuts installed upside down by someone who had removed it and was too lazy or stupid to notice the bevel originally faced downward into the countersink of the handle. There are knives out there with the guard on upside down. Obvious errors by someone who had a knife apart for some reason and reassembled it incorrectly. So if anything, look on minutae as a gauge of whether something has been altered, rather than whether it adds a few dollars to the collector value. Below: Here is as good a fake as you could ever hope to find! I bought this knife for a pittance just for the sheath it came in. 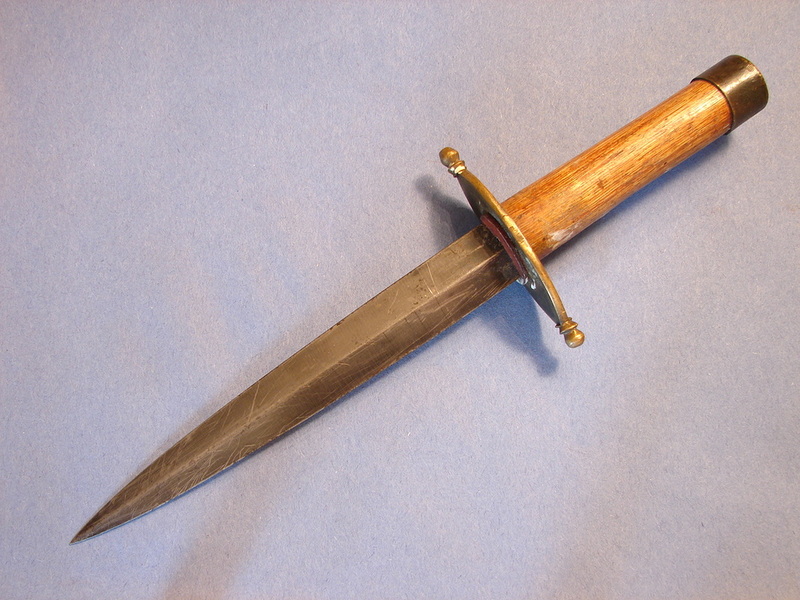 The knife was advertised as a WW-II commando dagger on that most in-famous internet auction site. Even the newest collector should recognize this as a conglomeration of bits and pieces. Still there are some who might be taken in. If you are looking at a knife that seems too good to be true, or is advertised as a rare knife, feel free to contact us and we will give you our best unbiased opinion.